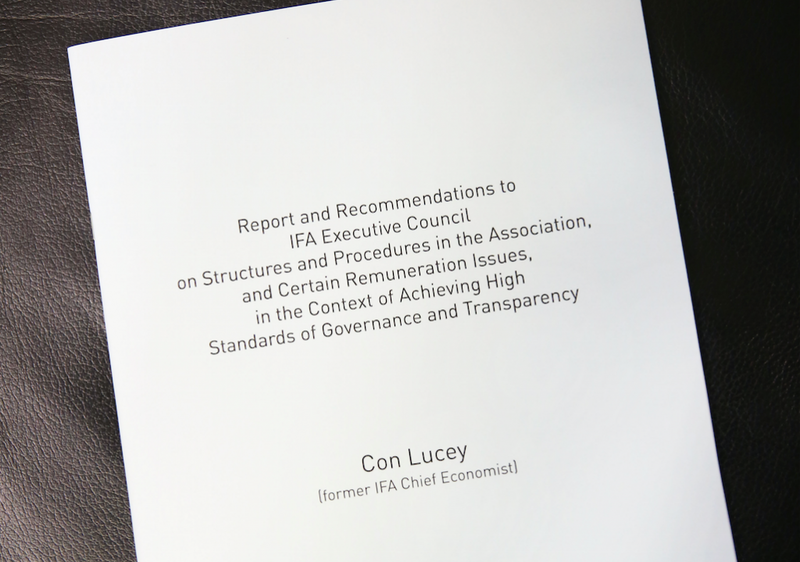 A key recommendation in relation to the Executive Staff of IFA that Con Lucey has made in his review is that they should only be working for IFA. He made the recommendation when addressing issues on the levels of pay for executive staff salaries. He said there were legal issues surrounding revealing the levels of staff pay within IFA, including the possibility of doing so through salary bands. However, he also said that as it had emerged in recent days and weeks that some IFA staff provide services to separate but related businesses such as IFA Telecom and receive a payment in return, these arrangements should be reviewed. 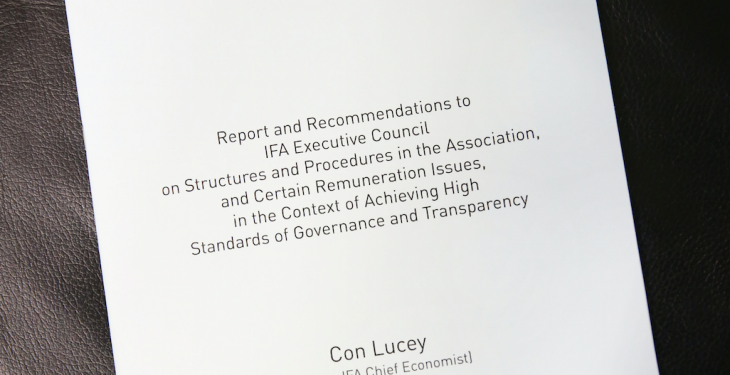 Lucey described the Executive Staff of IFA as a “small team of dedicated staff” who provide quality work in a demanding and high pressure and results driven environment. These staff can attend 30-40 night meetings a year, he said, and the opportunities for promotion are limited in IFA. Lucey also said that his was satisfied that Executive Staff salaries are broadly in line with the Assistant Principal, Principal Officer and Assistant Secretary range of the Civil Service.